Sapper saw his miracle when Rachael, a replicant from the original Blade Runner film, gave birth. Reproduction among replicants was considered impossible. The movie never explains how this can occur, but that’s the point. Miracles declare that the unimaginable and unexpected happens. In contrast, it’s easy to develop expectations for life, in which we know our role. We get up, go to work, relate to friends and family, etc. While this can be good, is there more? The miracle enters, disrupts our way of thinking, and shouts, “Yes”. Lieutenant Joshi understands the significance of the miraculous birth, immediately saying “This breaks the world.” Like Herod in the Bible, she seeks to quickly find and kill the child, explaining “The world is built on a wall that separates kind. Tell either side there’s no wall, you’ve bought a war. Or a slaughter.” She understands if replicants learn they can reproduce, their worldview will change, which would lead to an uprising. In other words, miracles shatter the status quo. In the course of his investigation, K learns one of his memories actually occurred. As the Wallace Corporation only implants fake memories, that should not happen. In this, he experiences his own miracle. Believing he is Rachael’s child, the police department’s psychological testing confirm he no longer thinks the same way. He even lies to his commanding officer, which Nexus-9 replicants cannot do. Being able to lie does not surprise the audience as we no longer believe he’s an enslaved replicant, but Rachael’s son. The twist, and big spoiler here, is that he is a programmed replicant. He broke free. How? He believed he was special, different, that he had a role contrary from what he’d been told. In addition to the plot implications, the audience expects K to be the miraculous child because stories frequently center on a chosen one. Think of Star Wars, Harry Potter, or the Bible. More specifically, they often include heroes hidden shortly after birth who later reveal themselves to set people free. Saved from Egyptian persecution, Moses frees the Israelites from slavery. Taken from Herod’s reach, Jesus offers freedom from all the evil in the world, including our own. While K might not be the “chosen one” or the “only begotten”, he has more value than he first believed. Having received the dream from Rachael’s daughter, he has a unique role in liberating replicants. Similarly, we can find significance in what we’ve received from the Chosen One. Made in the image of God, all people share the life He breathed into humanity. While we “are His children” in this way, we don’t necessarily live like it (Acts 17:28). Many don’t experience God as father. We have said and done things we know are wrong, which damages our relationship with Him. Despite our selfish actions, God sent his special child. Jesus died as punishment for what we have done wrong and rose from the dead. Like Ana giving her dream to K, giving a part of herself, Jesus gives His Spirit to those who trust Him. While Jesus is uniquely the “only begotten from the Father”, he reconciles us with God, restoring our relationship as His sons and daughters (John 1:14). While we are not programmed Nexus-9 replicants, it’s easy to acts as they do. Like K, we accept roles and expectations given by society. We limit possibilities. As Sapper suggests, we don’t think we can make a difference or an impact. We don’t realize how valuable we are, simply by being ourselves. 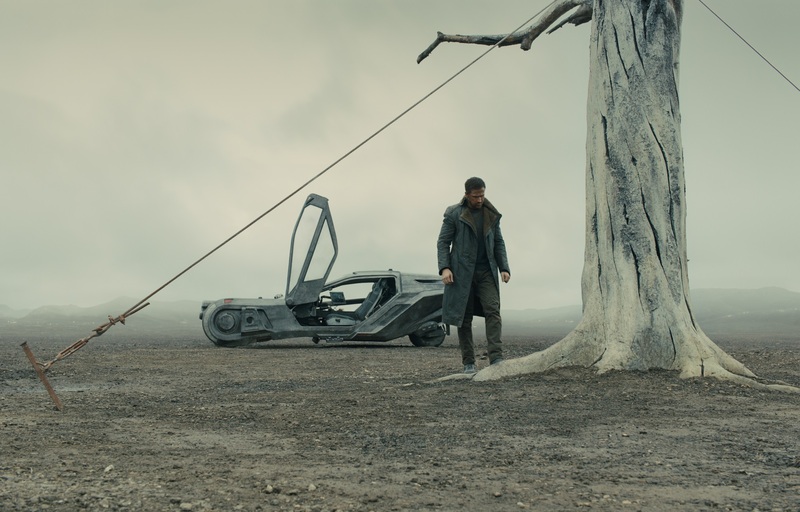 Many embrace nihilism or a materialist worldview in which nothing has meaning, making life as bleak as the backdrops in the Blade Runner films. Denying the supernatural, secular mindsets miss that God made us for relationship and adventure with Him. Sadly, these mentalities can even influence those who believe in God. How do we break free? We need to see a miracle, receive from Jesus, and believe differently about ourselves. Notice we cannot do this on our own. We can’t make the miracle. We cannot receive unless another gives. We need God to intervene. Let us ask him to shatter our worldviews and wait for him to do so.